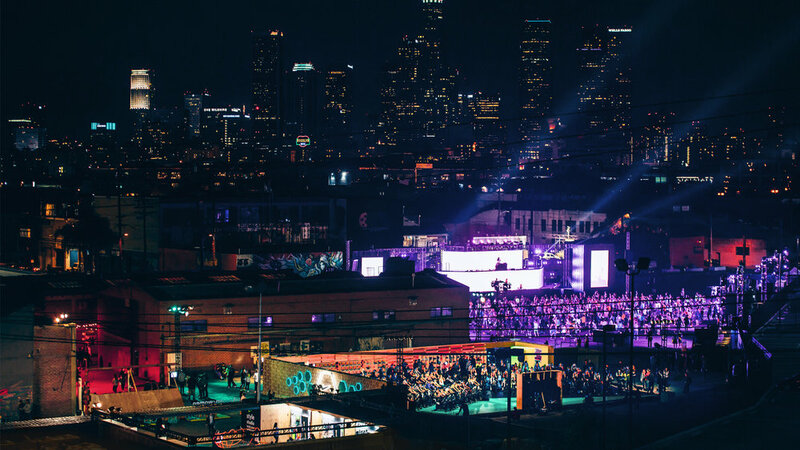 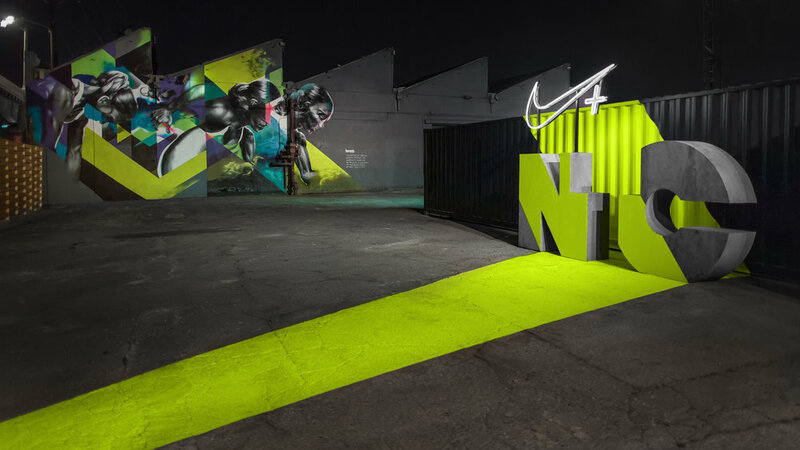 We designed, fabricated and installed four distinct training zones in downtown Los Angeles to be used at a special Nike Training Club event for 2,000 select women. 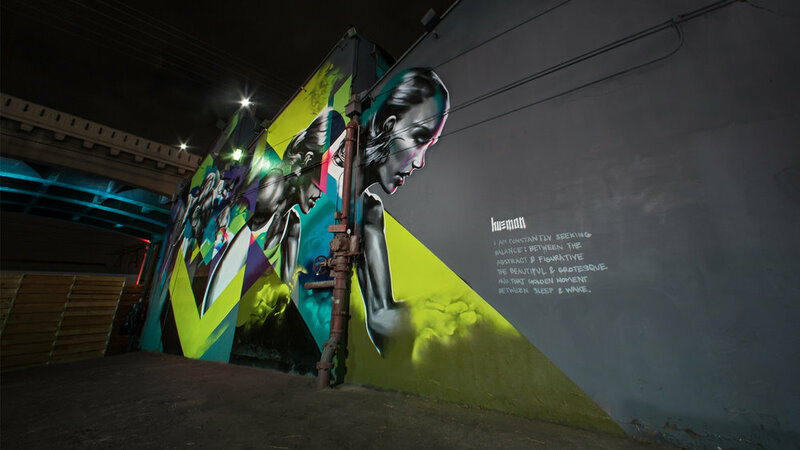 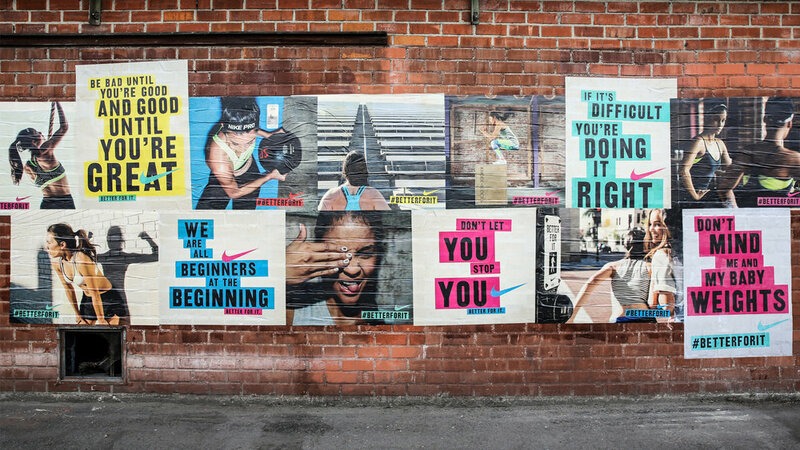 We created this fully immersive Nike experience by taking over a parking lot, city streets under a bridge and an abandoned warehouse and transforming it into a women-only, urban pop-up with various exercise zones including boxing and dance workouts. 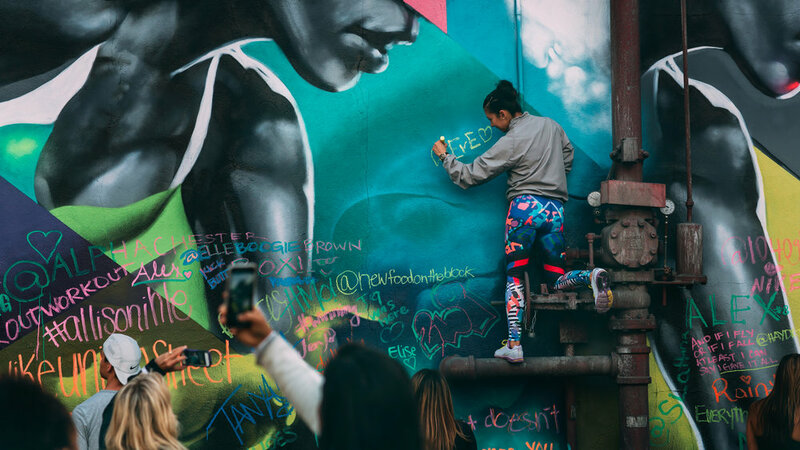 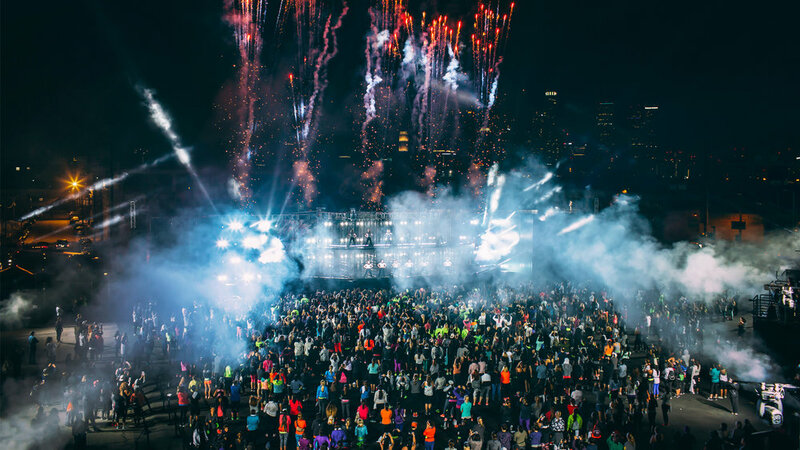 The experience included social photo opportunities that led to more than 102 million event impressions via Nike social media over one weekend.